Central Clinical School News Blog: Welcome to Dr Nick Wong! 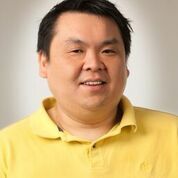 Welcome to Dr Nick Wong, who has recently joined the Central Clinical School/Monash Bioinformatics Platform. Nick completed his PhD in 2006 with Professor K. H. Andy Choo on DNA methylation of Neocentromeres. His expertise is in DNA methylation profiling (Illumina Infinium, Bisulfite Sequencing, MBD enrichment) on challenging samples; RNA analysis on challenging samples (including RNA-Seq); End-to-end experience for most NGS workflows (sample, library preparation, sequencing, bioinformatic analysis). Nick will liaise between CCS, the Alfred and the main bioinformatics platform team located at Clayton (https://platforms.monash.edu/bioinformatics). He will offer advice, consultancy and training around genomic analysis with NGS platforms. This includes access to compute infrastructure for data analysis (high performance computing clusters at Monash and commercial cloud). Furthermore he will help to bring together the existing bioinformatics expertise on the precinct, and coordinate specialty seminars and training workshops.